In the modern era of cyberspace and technology, advancements pose new threats to legal order. A 2010 census revealed that 2 billion people—over one quarter of the planet's population—use the Internet, communicating and sharing information all over the world.1 This virtual reality is growing at an incredible rate, yet the laws that govern it are relatively immature and struggle to keep up. In an age of information, one reasonable question to ask is whether Internet censorship and personal freedom can coexist under international law. In contrast to several other nations—even those sharing similar Western philosophy—the United States tends to support the freedoms of speech and press, even when they could pose a threat to national security. Today, this ideal has reached a height of conflict in the new era of technology. Government censorship, copyright infringement and classified document hijacking are now major points of contention over international approaches to cyberspace policy. This article will discuss a number of issues regarding cyberspace and the regulation of this recent and relatively unexplored sector of law, while simultaneously proposing and analyzing solutions to such problems. A description of cyberspace will lay the foundation to further understand problems in international law regarding the Internet. A range of opinions on Internet censorship will then be discussed to discern under what conditions it may be permissible to censor the Internet. The Pentagon Papers2 are a case example that provides background in the American struggle to balance national security with freedom of press. Its contemporary counterpart WikiLeaks will then provide insight into modern cyberspace dilemmas. Finally, a discussion of copyright infringement within international law regarding the individual will highlight a holistic understanding of present cyberspace issues. While the freedom of the press is often regarded as necessary and important, every government simultaneously has an obligation to protect its citizens. Whether it is China's censorship of Google, the WikiLeaks' disclosure of classified documents, or Canada's attempt to tame copyright infringement, nations constantly face the decision to either withhold information for reasons of national security or uphold the rights to free press.3 This article will explore current debates in the international community about where the line should be drawn regarding national security. This article argues that it is crucial for international law to promote free speech while maintaining the status of the Internet as a fair, responsible tool for society. At the same time, it is a tool the possesses great potential for abuse by copyright infringers and whistleblowers. The Internet knows no state boundaries, yet it has the ability to affect every state in every corner of the world. The reason why cyberspace requires a new definition of community is because of the broad-ranging connections that it fosters — evidenced by the 2 billion users each day.4 In the new era of technology, an international cyberspace body would prove beneficial as a rule-setting and coordinating mechanism to maintain order and create unity under international law. A central question of cyberspace law is determining who has sovereignty and jurisdiction in a virtual world. The territoriality principle and the effects principle offer two guides on a state's ability to deal with international cyberspace. Under the territoriality principle, a state holds the right to control any and all information entering its borders, and can then choose how to make that information available within its territory. Furthermore, any restriction of a nation's jurisdiction within its territory is forbidden.5 This principle argues that cyberspace is not an overarching pseudostate that transcends territory, but rather a communication line that becomes the territory of a nation anywhere within its boundaries. China, which is currently a member of the United Nations, clearly takes a rather different stance. Justifying their effort to ensure domestic social stability does not coincide with these positions asserted at the recent UNESCO summit. Berger went further to argue that the freedom of press in modern times is the result of such a hard-fought battle, and that it would be a great injustice to regress by censoring or limiting the Internet.10 However, even the most liberal of nations, like the United States, do not always agree that the approach to censorship should be unconditional. When the Nixon administration found that the documents had been leaked to The New York Times and were to be published, the U.S. Court of Appeals for the Second Circuit placed a temporary restraining order on the newspaper to prevent the information from being released.12 In response, The New York Times sued the U.S. government for attempting to restrict its first amendment right to freedom of the press. In a case heard before the Supreme Court, they argued that the Nixon administration sought to censor a national, public newspaper and deprive the world of the true and possibly unfavorable details of U.S. involvement in the Vietnam War. Supreme Court Justice Black gave the majority opinion that the right to free speech and free press is absolute and should under no circumstances be violated for stated reasons of national security. In contrast, Justice Stewart gave a dissenting opinion that the dangers of modern (nuclear) warfare should give the government discretion in national security matters.13 The Court ultimately decided that the Nixon administration did not meet its "heavy burden in order to justify the restraint [on free speech]. "14 The government would have to provide a compelling justification for any potential censorship, and national security in this situation was not a strong enough argument. Eventually, The New York Times did publish sections of the Pentagon Papers15, but the opinions of Justice Black and Justice Stewart reflect the current debate in international cyberspace law: should governments or Internet service providers censor and regulate content for the sake of national security—do they have any legitimate right to censor cyberspace? Today, the Internet is our equivalent to the newspaper as a communication medium with national reach. The difference today, however, is that a government's ability to block publication is severely limited when information and digital media can be spread around the world in seconds, with one click of a mouse.16 This is precisely what happened in the WikiLeaks case. On the one hand, the site upholds and promotes the importance of free press by exposing corruption worldwide. However, the disclosure of military intelligence can be dangerous and frustrating for national governments, especially during armed conflict. The United States has utilized the effects principle in its legal response to WikiLeaks, because it claims the actions of the Swedish website pose a threat to American security. The Obama administration's vigorous response to the WikiLeaks case has attracted its fair share of supporters, including Senator Diane Feinstein of California who argued that WikiLeaks founder Julian Assange is just an "agitator" of armed conflict, who contributes to violence more than to fixing the world's problems. On the other hand, advocates for absolute free speech like Justice Black in The Pentagon Papers case would probably argue that WikiLeaks is just another, more extreme exercise of the right to publish even classified information for public knowledge. In congruence with UNESCO and the rulings in the United States to uphold free speech over national security, why should all information on the Internet not be free and allowed? Do all people reserve the right to knowledge and can they be trusted to responsibly use their right to free press? In order to better understand the effects of cyber freedom and the problems related to free press, the next section of this article examines the issue of copyrights under international law. In addition to the debate over national security and free speech, the other prevailing topic of legal debate in cyberspace is between copyright protections and free speech. Current law struggles to address how to properly govern online activity, which infringes on copyright protections while simultaneously upholding individual rights to free speech and free press.22 The Internet is permanent; once copyrighted or classified information is disclosed, it is usually irreversible and can spread rapidly across cyberspace.23 The problem is that once a document is released, there is no telling when and where it has been copied or who has seen it—the copyright is effectively rendered useless. For a copyright owner, the ability to exclusively possess and distribute digital material for commercial profit is arguably the reason for a copyright in the first place.24 One scholar, Alejandro Zentner from the University of Texas at Dallas, shows in a 2006 study that sales of copyrighted material have decreased dramatically, and Internet users have become 30% less likely to legally obtain music since the emergence of Napster in 1999.25 This drastic increase of copyright violations over the Internet is of great importance to the issue of property rights and shows an imperative need to address cyber theft. When people have the right to publish what they please, they may also distribute information and digital media that they do not own. People have the right to secure their own creative property and ideas through copyrights, but the current infrastructure of the Internet and file-sharing websites make effective copyright protection difficult. Countries must create a way to balance this dilemma between personal property and illegal publishing online. In the instance of Napster, the court held that the company should be responsible for policing the wrongdoings on its own site to the best of its ability, but was allotted up to three days to remove copyrighted material if notified by a complainant.34 The transmitting entity (in this case a file-sharing search engine) was not held immediately responsible for Internet violations on its own site. The bottom line is that file-sharing websites that partake in copyright infringement are not held fully liable for users' misuse of their service; they are given notice and time to fix copyright violations on their sites, which does not put the fault on the site that simply connects the infringing web users together. In Canada, the Society of Composers, Authors and Music Publishers of Canada sued the Canadian Association of Internet Providers in 2004 during a similar situation. Unlike the Napster case, however, the plaintiff did not sue for connecting users who make illegal downloads on a specific website, but rather providing the Internet service that offenders were using. This case, known as SOCAN, addressed the location of Internet Service Providers—called ISPs—in another attempt to find a party liable for Internet copyright violations. In SOCAN, the Canadian Internet Service Provider was accused by a group of copyright holders who argued that providing the Internet service under which illegal sharing of copyrighted material took place constituted negligence.35 The Canadian Supreme Court held that an Internet intermediary (an ISP) was not liable so long as it was acting as a content transmitter and not a content provider; as long as the ISP does not provide the illegal content, it is not liable for unknowingly transmitting illegal content from one user to another.36 So long as there is fair use and good intention, the ISP is not at fault.37 Under the territoriality principle followed by countries such as China, a country possesses authority for all affairs within its territory—both for the intentional censorship and for the actions of ISPs (the claim to territoriality goes both ways, whether positive or negative). Regardless, the Canadian Supreme Court did not choose to adopt the doctrine of territoriality and still concluded that an ISP was not responsible simply because it was located in the country where the violations took place.38 The court did not go as far as to assert that the content providers or downloaders on either side of the ISP were at fault, but a lack of comment by the Court suggests that the content provider is the main violator. Barron, Jerome A. The Pentagon Papers Case and the WikiLeaks Controversey: National Security and the First Amendment. Wake Forest Journal of Law & Policy 1 (2011) 49-74. Retrieved from Heinonline database. Belknap, John W. Recent Developments: Copyright and Napster. Journal of Small and Emerging Business Law. 5 (2001) 185-203. Retrieved from Heinonline database. Berger, Guy. “The Budapest Conference on Cyberspace.” Millenáris Park, Budapest. (4-5 October 2012 ). Retrieved from UNESCO database. Developments in the Law—the Law of Cyberspace. Harvard Law Review. 112 (1999) 1680-1704. Retrieved from Heinonline database. Dinwoodie, Graeme B. (National) Trademark Laws and the (Non-National) Domain Name System. University of Pennsylvaina Journal of International Economic Law. 21 (2000) 495-522. Retrieved from Heinonline database. Dutton, W. H., Dopatka, A., Hills M., Law, G., Nash, V. Freedom of Connection – Freedom of Expression: The Changing Legal and Regulatory Ecology Shaping the Internet. Oxford Internet Institute, Oxford University. (2010). Retrieved from UNESCO database. Handler, Staphanie G. The New Cyber Face of Battle: Developing a Legal Approach To Accommodate Emerging Trends In Warfare. Stanford Journal of International Law. 31 (2012), 209-236. Retrieved from Heinonline database. Hannibal, Travis. Opting Out of the Internet in the United States and European Union: Copyright, Safe Harbors, and International Law. Notre Dame Law Review. 84 (2008) 358-364. Retrieved from Heinonline database. Kelly, Tiffany. “CALIFORNIA; JPL employees demand inquiry; Theft of a laptop carrying data on up to 10,000 workers prompts the action..” Los Angeles Times. (November 29, 2012 Thursday ): 521 words. LexisNexis Academic. Web. Date Accessed: 2012/11/29. Kelly, Tiffany. “CALIFORNIA; JPL employees demand inquiry; Theft of a laptop carrying data on up to 10,000 workers prompts the action.” Los Angeles Times. (29 November 2012): 521 words. LexisNexis Academic database. Leong, S., Lim Saw, Cheng. Copyright in a Borderless World—Does Territorality Matter? International Journal of Law and Information Technology. 15 (2007), 38-53. Retrieved from Heinonline database. Miaoran, Li. The Pirate Party and the Pirate Bay: How the Pirate Bay Influences Sweden and International Copyright Relations. Pace International Law Review. 21 (2009), 281-307. Retrieved from Index to Legal Periodicals & Books Full Text database. Opper, Melissa H. Wikileaks: Balancing First Amendment Rights with National Security. Loyola of Los Angeles Entertainment and Law Review. 31 (2010-2011) 237-267. Retrieved from Heinonline database. United Nations. WIPO. What Is WIPO? United Nations, n.d. Web. .
World Intellectual Property Organization. Berne Convention for the Protection of Literary and Artistic Works. (9 Sept. 1886. Revised 28 Sept. 1979). Web. .
Zekos, Georgios I. State Cyberspace Jurisdiction and Personal Cyberspace Jurisdiction. International Journal of Law and Information Technology.15 (2007), 1-38. Retrieved from the Heinonline database. Zentner, Alejandro. Measuring the Effect of File Sharing on Music Purchases. Journal of Law and Economics. 49 (2006), 63-90. Retrieved from JSTOR Database. William H. Dutton, Anna Dopatka, Michael Hills, Ginette Law, Victoria Nash. Freedom of Connection – Freedom of Expression: The Changing Legal and Regulatory Ecology Shaping the Internet. Oxford Internet Institute, Oxford University (2010). Retrieved from UNESCO database. William H. Dutton, Anna Dopatka, Michael Hills, Ginette Law, Victoria Nash Freedom of Connection – Freedom of Expression: The Changing Legal and Regulatory Ecology Shaping the Internet. Oxford Internet Institute, Oxford University (2010). Retrieved from UNESCO database. Guy Berger. “The Budapest Conference on Cyberspace. Millenáris Park, Budapest.” UNESCO. 4-5 October 2012. Retrieved from UNESCO database. Jerome A. Barron. “The Pentagon Papers Case and the WikiLeaks Controversy: National Security and the First Amendment.” Wake Forest Journal of Law & Policy 1 (2011), 49-74. Retrieved from Heinonline database. Jerome A. Barron. “The Pentagon Papers Case and the WikiLeaks Controversey: National Security and the First Amendment.” Wake Forest Journal of Law & Policy 1 (2011), 49-74. Retrieved from Heinonline database. Melissa Hannah Opper. “Wikileaks: Balancing First Amendment Rights with National Security.” Loyola of Los Angeles Entertainment and Law Review. 31 (2010-2011): 237-267. Retrieved from Heinonline database. Elaine M. Chen. Global Internet Freedom: Can Censorship and Freedom Coexist?. De-Paul-LCA Journal of Art and Entertainment Law. 13 (2003), 229-268. Retrieved from Heinonline database. Melissa Hannah Opper. 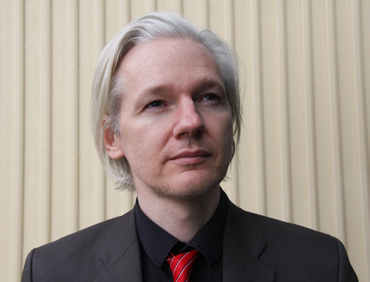 Wikileaks: Balancing First Amendment Rights with National Security. Loyola of Los Angeles Entertainment and Law Review. 31 (2010-2011): 237-267. Retrieved from Heinonline database. Susanna H. S. Leong, Cheng Lim Saw. Copyright in a Borderless World—Does Territoriality Matter? International Journal of Law and Information Technology. 15 (2007), 38-53. Retrieved from Heinonline database. Alejandro Zentner. Measuring the Effect of File Sharing on Music Purchases. Journal of Law and Economics. 49 (2006), 63-90. Retrieved from JSTOR Database. World Intellectual Property Organization. Berne Convention for the Protection of Literary and Artistic Works. (9 Sept. 1886. Revised 28 Sept. 1979). Web. <http://www.wipo.int/treaties/en/ip/berne/trtdocs_wo001.html>. United Nations. WIPO. What Is WIPO? United Nations, n.d. Web. 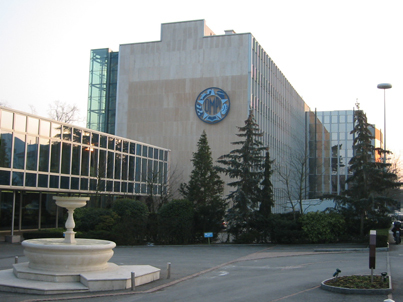 <http://www.wipo.int/about-wipo/en/>. John W. Belknap. Recent Developments: Copyright and Napster. Journal of Small and Emerging Business Law. 5 (2001) 185-203. Retrieved from Heinonline database. Travis Hannibal. Opting Out of the Internet in the United States and European Union: Copyright, Safe Harbors, and International Law. Notre Dame Law Review. 84 (2008) 358-364. Retrieved from Heinonline database. Georgios I. Zekos. State Cyberspace Jurisdiction and Personal Cyberspace Jurisdiction. International Journal of Law and Information Technology.15 (2007), 1-38. Retrieved from Heinonline database.